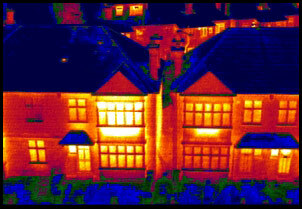 The use of infra-red technology can be employed in a variety of applications across a wide range of different industries. We have been seeing more and more evidence of argon depletion in insulated windows. Normally windows show an "edge loss" signature or, if the seal if broken, the entire window is affected. Argon depletion shows up—about 5-10 years after the window is installed—as a thermal anomaly in the center of the window. Window manufacturers will often replace windows still under warranty showing this kind of signature—especially with a thermal signature as evidence.